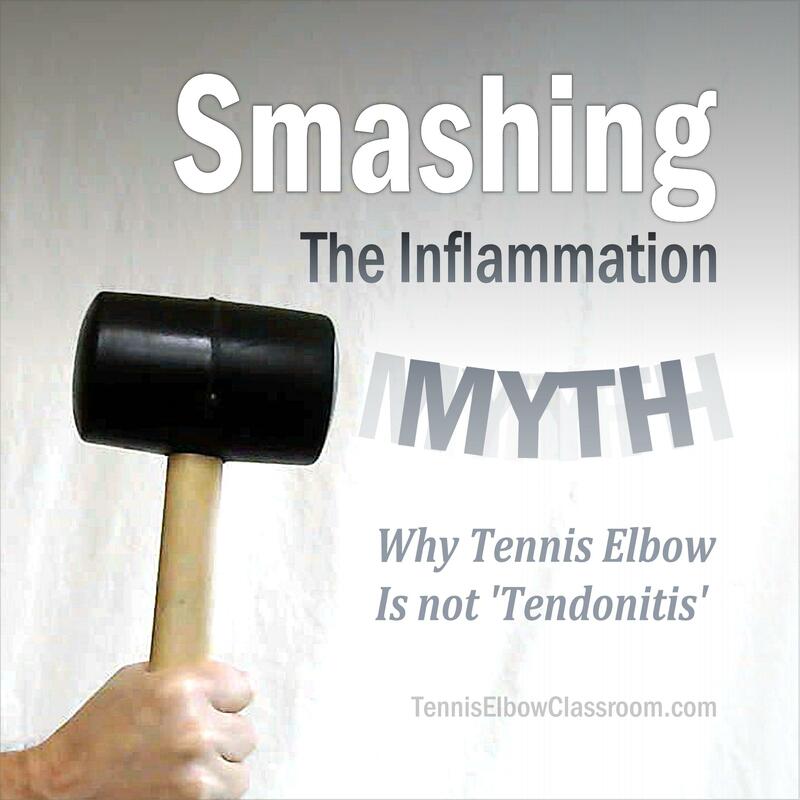 Tennis Elbow Classroom: Smashing The Tennis Elbow Inflammation Myth! A contrarian Tennis Elbow and Golfer's Elbow resource, to help you sort through the myths and misconceptions around this frustrating, painful tendon curse. Brought to you by Allen Willette, 'Tennis Elbow Tutor' - Creator of the original self-help video program: Tennis Elbow Classroom. Let's break your vicious cycle! Smashing The Tennis Elbow Inflammation Myth! What's the first thing they tell you to do when you have Tennis Elbow? Inflammation the biggest Tennis Elbow fallacy of all time – And you don't actually have to chase, treat or worry about it. Why the inflammation-fighting, reducing / "managing" approach to treating Tennis Elbow (also known as 'Lateral Epicondylitis' or 'Elbow Tendonitis') is a complete dead end and may do you more harm than good. A contrarian Tennis Elbow and Golfer's Elbow resource, to help you sort through the myths and misconceptions around this frustrating, painful tendon curse. Brought to you by Allen Willette, 'Tennis Elbow Tutor' - Creator of the original self-help Internet video program: Tennis Elbow Classroom... Break Your Vicious Cycle!